What is the role of social media in communicating CSR and Sustainability? The transformation brought by digital and technological advances during the last decade has made companies and organizations undergo a thorough overhaul when it comes to communication with the public and stakeholders. But how all these social media platforms affect the way companies communicate CSR and Sustainability to their relevant stakeholders? It really depends on whether the companies are aware of their stakeholders and their expectations, their corporate impacts and whether they are willing to engage in meaningful communication. Communicating CSR and Sustainability via social media cannot be escaped nowadays and it can only generate benefits for companies and organizations regarding their accountability, trustworthiness, and reliability. Facebook, Twitter, LinkedIn Snapchat, Pinterest and Instagram are well-known and widely used social media tools, but it could be said that Facebook and LinkedIn are the ones most popular among companies and organizations telling their stories on CSR and Sustainability. The appropriate communication of CSR and Sustainability activities is necessary for companies to achieve credibility. Social media platforms have enabled open and transparent dialogue between organizations and their relevant stakeholders on CSR and Sustainability activities. Traditional media did not allow for proactive two-way communication and did not provide companies the opportunity to timely engage public and primary stakeholders. However, this “just telling-just informing” strategy cannot be used anymore because of the increased awareness of stakeholders in Sustainability issues, their rising expectations from the company and their demand for involvement in corporate decision making which impacts their lives tremendously. Stakeholders ask for specific information on topics like food security, origin, animal welfare, local suppliers, gender equity and environmental impacts to name a few. They want to express their opinions and expectations on organizational practices and social media platforms have given them a strong voice. On the other hand, social media have given the chance to organizations to disseminate reliable and consistent information, meet the publics’ expectations, avoid serious risks and earn public trust. Companies should not only try to communicate their CSR and Sustainability efforts through social media channels to avoid public criticism and scepticism; they need to develop effective communication strategies that take into consideration communication trends of Millennials and Post-Millennials as well as the way Generation X communicates and perceives disruption in the Sustainability field, and build a bridge between their business’s goals and their stakeholders’ expectations. In a nutshell, companies and organizations should develop relevant content and engagement opportunities that create value and be part of the purpose economy. Moreover, as social media promptly measure the effectiveness of on-line campaigns, it goes without saying that companies understand that long-term success cannot be achieved without the active engagement in social media. 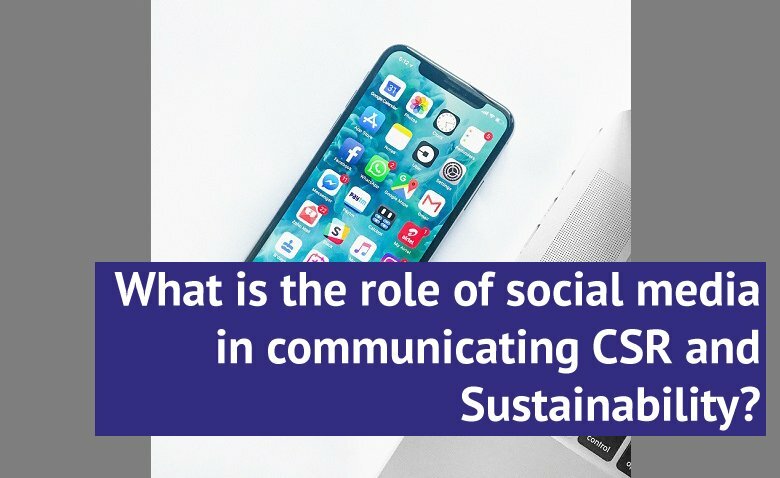 Nowadays, social media platforms have created a wonderful field for an interactive communication among all actors taking part in CSR and Sustainability activities. It allows for the creation of sustainable world where each voice will be heard and acknowledged. But there is still a caution sign: Do not allow for our relationship status to become complicated!